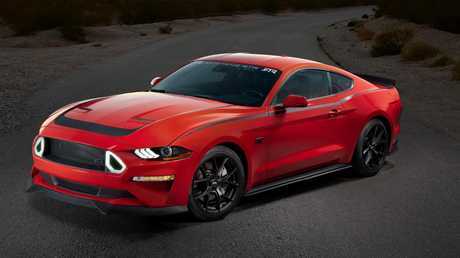 Ford Performance and RTR Vehicles team up to create the ultimate Mustang. KIA muscled in to the Specialty Equipment Makers Association in Las Vegas with a Cerato GT sedan that's due to land in Australia in January. The Cerato GT - known as the Forte in the US - will be sold in hatch and sedan guise in Australia with a 1.6-litre turbo engine (150kW/265Nm) powering the front wheels through a six-speed manual or seven-speed dual-clutch automatic. The Cerato will be the second GT model in Australia after the Stinger GT. The 3.3-litre twin-turbo V6 was also in show, dressed in the livery of the Queensland Police. Kia Australia spokesman Kevin Hepworth says official interest in the Stinger continues to develop, so expect to see hundreds of the rear-wheel drive performance cars packing blue and white or highway patrol livery in the near future. Kia wasn't the only maker to show its aftermarket wares in Nevada. We've listed some of the shiniest and smartest cars on the stands. The Nissan Project Clubsport 23. 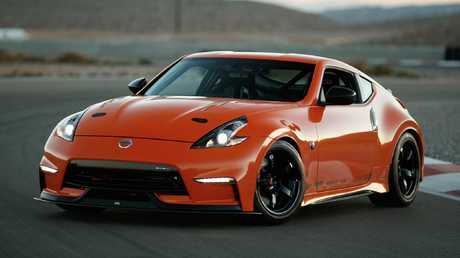 The Project Clubsport 23 shows how owners of older 370Z cars can transform them into custom machines using parts from the Nissan Motorsports and aftermarket catalogues. The original 3.7-litre V6 is swapped out for a new 3.0-litre twin-turbo, with bespoke steering, suspension and brakes. A customised body covers the upgrades, along with a roll cage and "gloss burnt orange" wrap. The car sitting alongside the 370Z is a Nissan Kicks that goes a long way to breaking the sound barrier. The car uses Bose speakers mounted in and under the vehicle, including a pair inside the driver's head rest, three 1100W subwoofers and a configurable amp. The custom-built rear drawer opens to reveal a professional DJ deck, with a Pioneer mixer and a pair of multi-players. 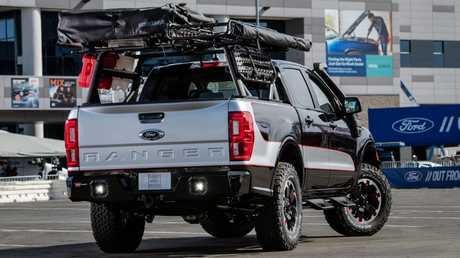 2019 Ford Ranger Base Camp. The Blue Oval hauled out no less than seven Rangers at SEMA, several of which were developed in-house. Leading the fray was the Pre-Runner with Fox/BDS suspension, electronic locking rear diff, revised exhaust, "desert racer" front bumper with skid plate and rock slider side steps. The Ranger Base Camp was designed for the family that wants to go to extremes. The kit-out adds a Fox/BDS Suspension three-inch lift kit and off-road shocks, along with skid plates and differential cover from Ford Performance. A Warn Ascent front bumper incorporates a winch and there's a snorkel to help with river runs. The tub accommodates a Slim Shady awning and the Base Camp sits on 18-inch black wheels with silver and orange highlights. Volkswagen Air Design Jetta SEL. The Jetta was VW's featured car and three different interpretations were rolled out. The Air Design USA Jetta SEL was inspired by Jetta and Golf accessories from the 1980s and '90s and rides on 19-inch Hockenheim wheels supported by Eibach progressive rate lowering springs. The body kit with rear lip spoiler is highlighted by tricolour graphics and a custom cognac and black interior. 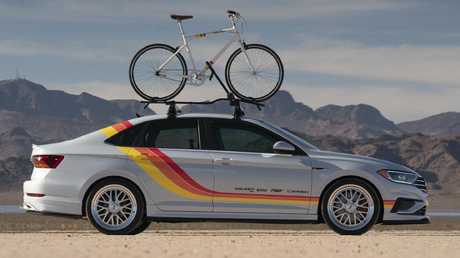 A VW Accessories bike rack is mounted on the roof. "Air Design's first styling kits were developed for the Jetta Mark 2 and Jetta Mark 3 and have been part of the Volkswagen Euro-tuning cult, with a legion of dedicated fans throughout the world," says Air Design spokeswoman Mariana Lopez. The Series 1 Ford Mustang RTR. World champion drifter Vaughn Gittin Jr has teamed with Ford Performance to create the Series 1 Mustang RTR. 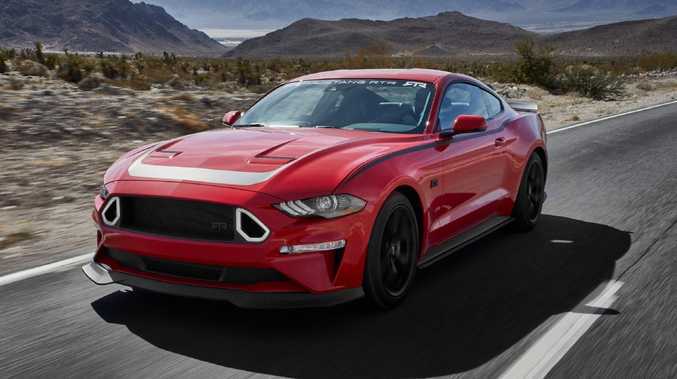 The car uses Ford Performance suspension with adjustable sway bars that can change the chassis balance on either passive or active suspensions to suit "twisty back road driving, laying down lap times, drifting or blasting down a drag strip". The bad news is it's a US-only kit and limited to 500 orders.